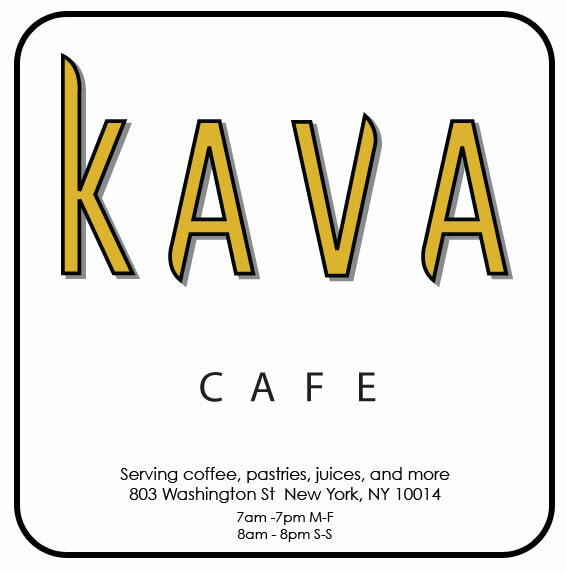 Kava Cafe opened earlier this month on a quiet stretch of Washington Street one block south of the High Line, where the Meatpacking District fades into the West Village. 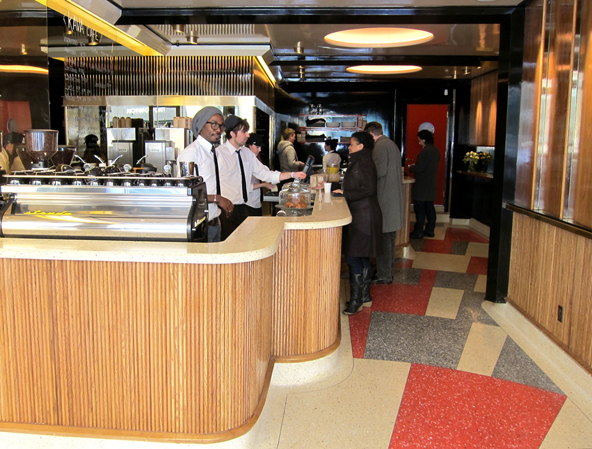 It’s not just one of New York’s newest coffee bars, it’s one of the city’s most striking. 803 Washington Street; (212) 255-7495; kavanyc.com. The room is by Roman & Williams, the architecture firm behind the Ace Hotel New York, Lyon, 211 Elizabeth Street and the Standard Hotel New York up the street. Design groupies will recognize the high-gloss black paint that reflects the light like polished onyx, a Roman & Williams signature. 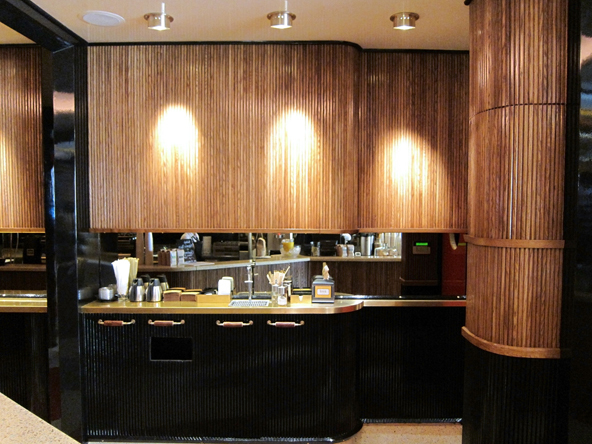 Bronzed mirrors, terrazzo floor, brass snoots illuminating tambour walls - it feels more 1970s Milan than 21st-century New York. Kava is tiny, but it packs a lot of design into its square footage, from the dome lights to the wood bicycle handles used as drawer pulls. 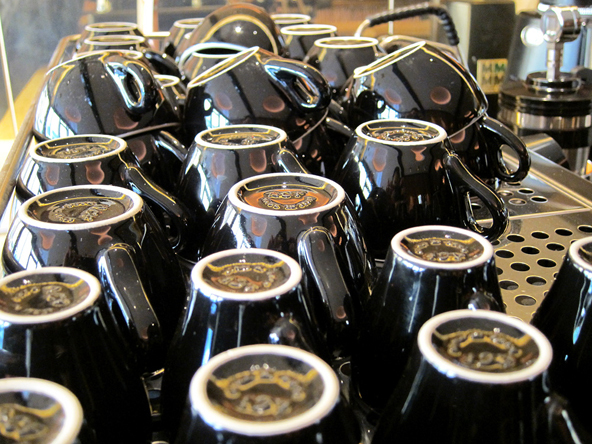 Even the ACF espresso and cappuccino cups are in black to match the room. Christian Mbassa prepares a drink. 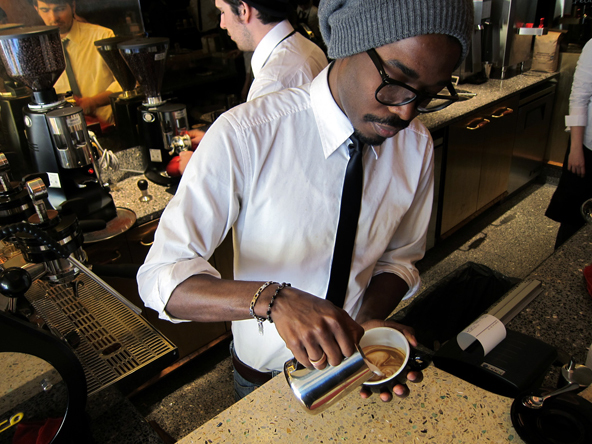 For all of Kava’s style, the coffee is serious. 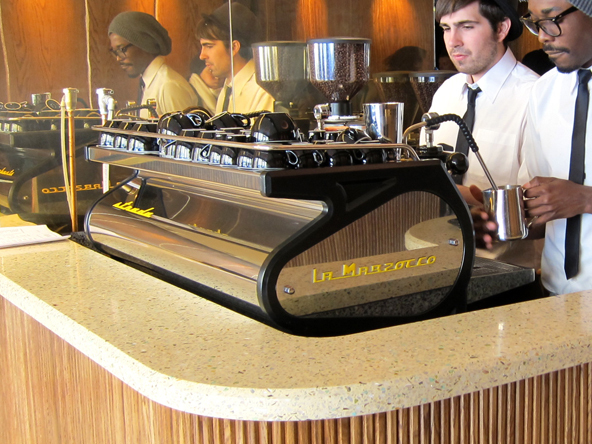 The beans are from Stumptown Coffee Roasters. 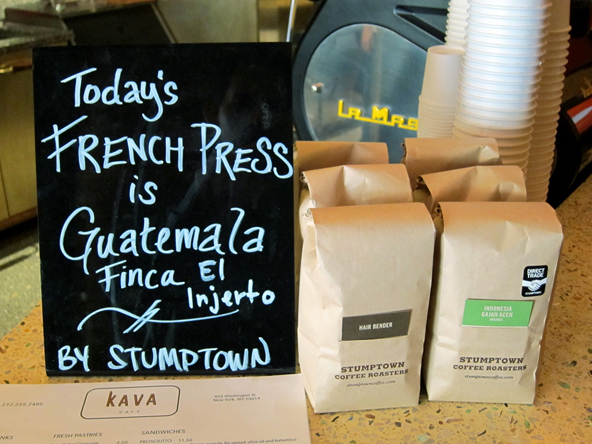 Kava is mostly an espresso scene, but there is single-origin coffee French pressed to order. John Saric, the owner, lives around the corner. 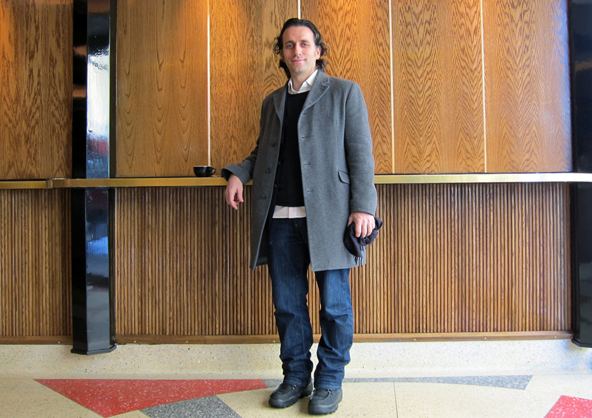 Saric is a partner in the Ace Hotel New York, and he was so impressed with the Stumptown off the lobby that he was moved to open a coffee bar within walking distance of his home. 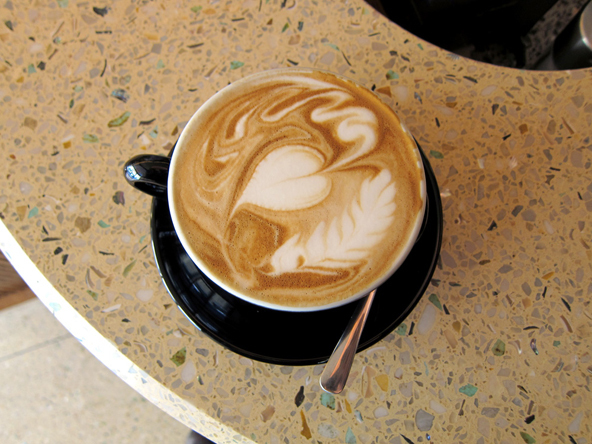 “Kava” is the Croatian word for “coffee.” The name is a tribute to Saric’s parents, who are from Croatia.